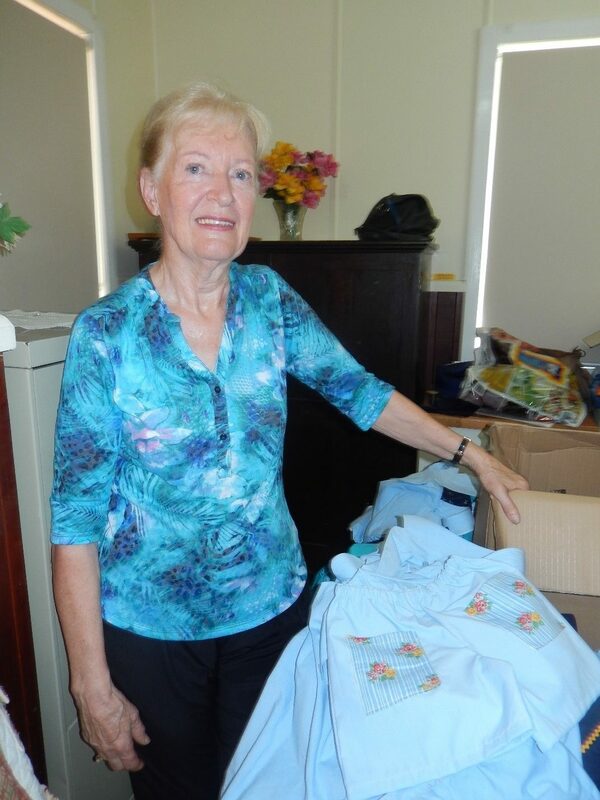 The pioneer and founder of Uniforms 4 Kids, Yvonne Pattinson OAM, intended only to clean out a cupboard crowded with material. A sewer all her life, Yvonne retired to the Queensland coastal township of Cooroy, she had a life-time collection of “bits and pieces” and anxious not to waste any, decided to make them into clothing for young children. A friend then asked could she take the clothing to an orphanage she supported in Asia. In stepped Yvonne’s daughter, Debbie Platz, then a Queensland Police officer. She pointed out there were many children in Australia who could use clothing and why not use the police uniforms her colleagues and she had to discard. The idea to repurpose uniforms, saving them from being shredded and ending up as land-fill was met with great support and Uniforms 4 Kids was born. 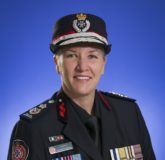 Commissioner Carroll chairs both the QFES and the Public Safety Business Agency (PSBA) boards and is Vice President of the Australasian Fire Authorities Council (AFAC). 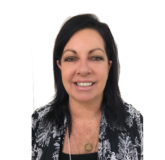 She is also a member of the AFAC Commissioners and Chief Officers Strategic Committee (CCOSC), and is on the QUT School of Justice Advisory Panel. She is a member of the Australian and AFAC Male Champions of Change, which works to advance gender equity, inclusive cultures and achieve significant and sustainable improvements in the representation of women among a paid and volunteer workforce of more than 280,000 people. 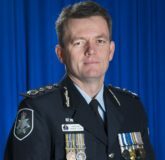 Commissioner Andrew Colvin is a career police officer, having joined the AFP in 1990. He spent the majority of his early investigational career within the AFP’s Sydney Office where he progressed through the ranks of the organisation investigating a range of serious and organised crime offences, particularly narcotic importations, money laundering, politically motivated crime and terrorist financing. He holds a Masters in Public Administration from the Harvard Kennedy School of Government, attained in 2010, and was appointed the AFP’s 7th Commissioner in October 2014. He is a passionate advocate for the role of policing in society and in government and is a Male Champion of Change – striving to achieve significant and sustainable increases in the representation of women in leadership positions. 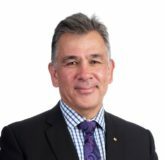 He has a wealth of experience in the practice area of audit, particularly through his work with not-for-profit and charity organisations, companies, and body corporates on the Sunshine Coast. In addition, Bruce has worked with a number of small and medium sized businesses, providing business advisory guidance. 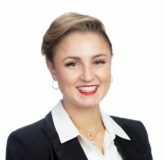 Chloe Kopilovic is a Senior Associate lawyer of FC Lawyers, leading the wills and estates team and practicing in estate planning, estate administration and estate litigation. Chloe has completed her Masters in Applied Law majoring in Wills and Estates with the College of Law, and is committed to becoming an Accredited Specialist in Succession Law with the Queensland Law Society. Chloe was the youngest member to be elected to the Queensland Law Society Council for the 2016/2017 term and has recently been re-elected for the 2018/2019 term. Chloe is a committee member for the Australasian Women and Policing Inc, the first female lawyer to achieve this. Over the years Danny has spent 11 years in education and teaching, worked as a consultant and client manager for a large investment corporation winning numerous awards in recognition of achievements. 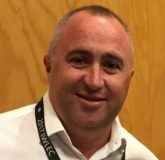 He has also partnered in a fast-growing investment and property services company before founding DBA Property Solutions and Triple Zero Property Group. He holds a double degree in Education, a Real Estate Licence and a Cert IV in Financial Services. 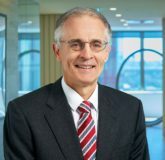 Danny is a member of the Australian Institute of Company Directors. For the past 50 years Yvonne has been on many committees, including Red Cross, Church, School P and C’s, School Boards, and numerous sporting bodies. 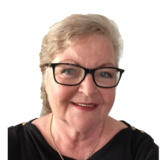 She has been a tireless volunteer for 50 years having always served on committees in every role, every year and sometimes up to 7 committees at a time. In the 2013 Australia Day Honours, Yvonne received the Order of Australia Medal for service to the community through a range of organisations. 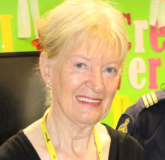 Anne retired from the Queensland Police Service in June 2013 after 33 years of service, as Acting Assistant Commissioner, Metropolitan North Region. Her substantive rank at time of retirement was Chief Superintendent. In the 2002 Queens Birthday Honours List Anne was awarded the Australian Police Medal for the investigation of serious crime in particular child abuse and sexual abuse. Anne is the Secretary of the Australasian Council of Women and Police. Louise Vaughan started her career in marketing and communication in regional television and has worked in retail, industry, and professional services. She has long been involved in community organisations and social justice issues, including as a former director of Micah Projects. Marshall Irwin was admitted as barrister in 1976. 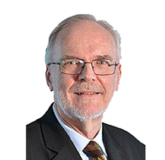 He was a Queensland District Court judge (2003-2014) and Chief Magistrate (2003-2008). He is currently a Commissioner of the Queensland Crime and Corruption Commission. In addition to lecturing and writing Marshall has been active in international law associations devoted to reforming criminal law and promoting the rule of law in developing countries. He has also been actively involved in local social justice initiatives.